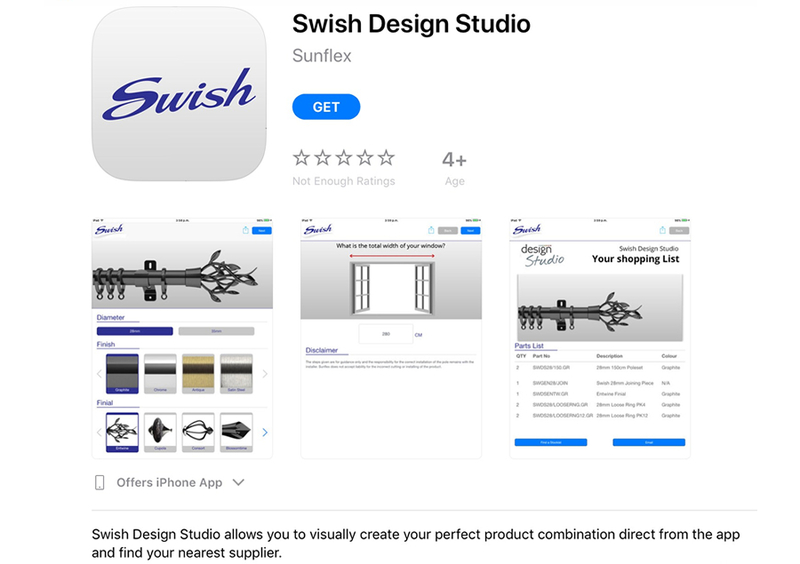 Congratulations to Swish, who have just launched a fantastic new App for their Design Studio Range. Making it super easy to create a bespoke, mix and match pole, in just 3 steps. Swish clearly understand their customers, knowing how important it is to have a fully mix and match pole range that offers tonnes of choice and flexibility yet only takes seconds to compile an order for. Maximum choice with minimal hassle… well done Swish, and thank you! To place an order for a Swish Design Studio pole you can forward your list from the new app to sales@jones-interiors.com …. Happy ordering everyone.